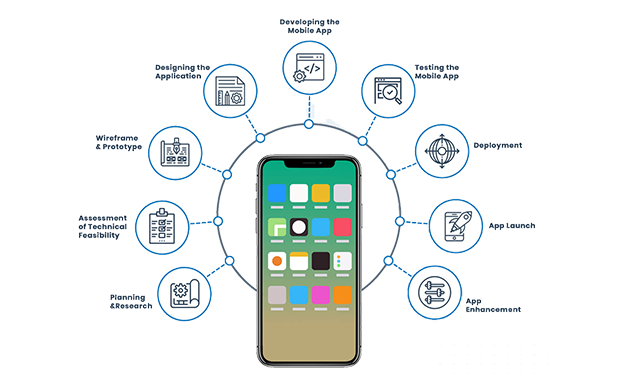 Mobile Application Development Solutions Delving into latest technologies to deliver the best web & mobile app development solutions that's meet current expectations and future demands. We are leading Mobile Enabled IT Solutions Company in India delivering Enterprise & Mobile App Development Solutions across the globe, among various industries with domain expertise in Mobile & Enterprise Technologies. We deliver web & mobile app solutions that help you to bring ideas into reality. Android app development is quite a challenging affair. Android apps are the latest hot thing in the existing market and are growing rapidly across the general public. It plays a crucial role for any business, large, medium or small, to get an app to represent itself. Record shows that every year 1million iPhones sold; hence there is no question about the rising number of iPhone users in the global market. With this data, anybody can understand the importance of developing an iPhone app to further business growth and connect to more users.